It’s official. Gus Kenworthy has stolen our hearts. 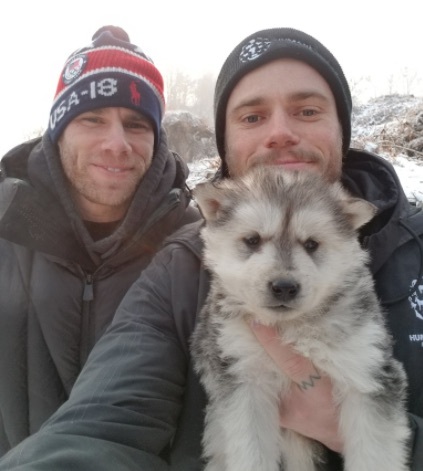 The freestyle skier and LGBTQ activist is not only an amazing athlete who made all of us proud with his 2018 Winter Olympics performance in PyeongChang, but he’s also an animal lover who is using his platform to draw awareness to the deplorable conditions of dog meat farms in South Korea. And the icing on the cake? He’s taking one of the cute canines home with him. How sweet! "This morning Matt and I had a heart-wrenching visited to one of the 17,000 dog farms here in South Korea. Across the country there are 2.5 million dogs being raised for food in some of the most disturbing conditions imaginable. Yes, there is an argument to be made that eating dogs is a part of Korean culture. And, while [I] don't personally agree with it, I do agree that it's not my place to impose Western ideals on the people here. The way these animals are being treated, however, is completely inhumane and culture should never be a scapegoat for cruelty." The circumstances Gus Kenworthy described are nothing short of horrific. We can’t imagine seeing something like this with our own eyes. Kenworthy did have some good news, though. The particular dog farm he visited is being shut down! With help from the Humane Society International and “the cooperation of a farmer who’s seen the error of his ways,” all of the farm’s 90 dogs are heading to the U.S. and Canada to find new furever homes. In fact, one very lucky dog already has a new home. Kenworthy and his boyfriend, Matt Wilkas, adopted one of the adorable little fur babies and have named her Beemo. She’s as cute as a button! This isn’t the first time Kenworthy has taken a pup home with him from the Olympics, either. Four years ago in Sochi, Russia, he adopted a mother and her four pups! Yes, that’s right. He adopted FIVE dogs! Donations will pay for lifesaving vet care, food, cages for transport & so much more. We love your style, Gus, and we can’t wait to see the rest of those innocent little angels get adopted.